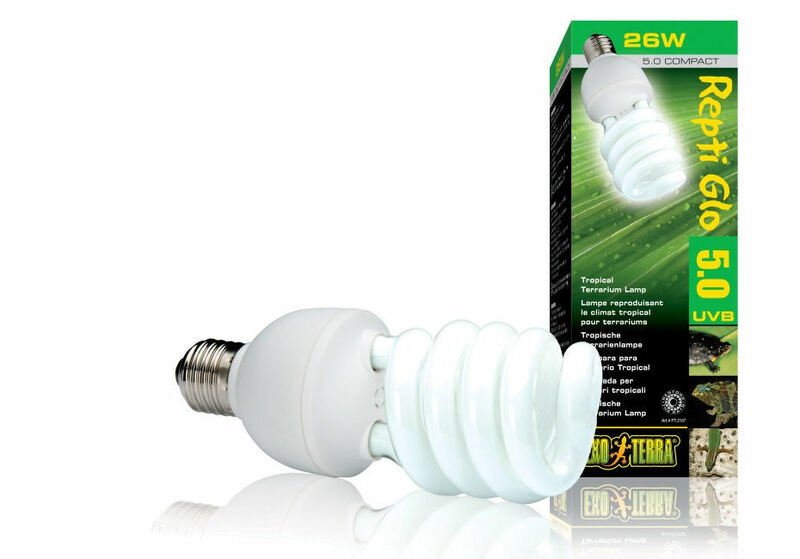 Exo Terra Reptile UVB 100 Compact Lamp 25W | Livefood UK Ltd.
Exo Terra Repti Glo UVB Compact Fluorescent Lamps are small and self ballasted versions of the Repti Glo Fluorescent tube lights and each provides the same benefits of its counterpart. 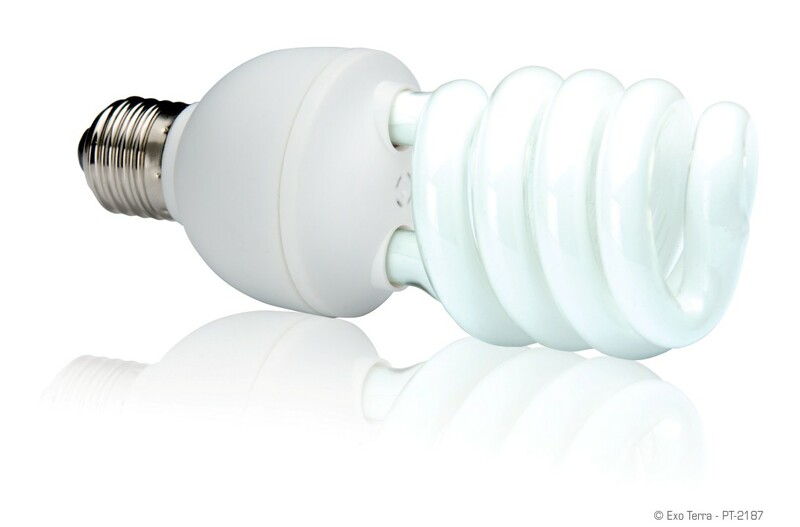 The Exo Terra Compacts require a regular screw fitting to operate and can be positioned vertical or horizontal with the same result due to their spiral shape. The 5.0 Compact provides shade level UVB (effective up to 12") and is suitable for forest type set ups and can be combined with the 2.0 to give excellent viewing. 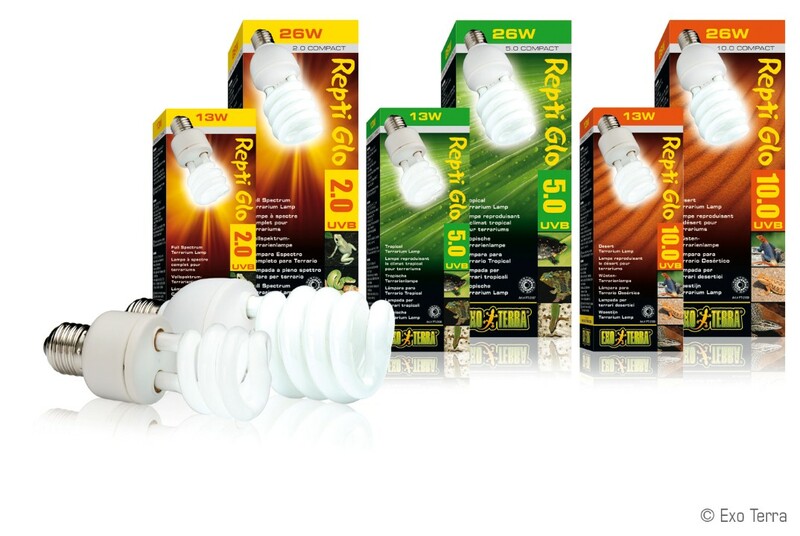 All Compact lights should be on for around 10 - 12 hours a day to give a day and night cycle for your reptile.